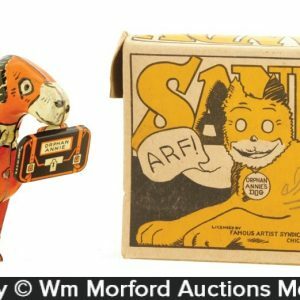 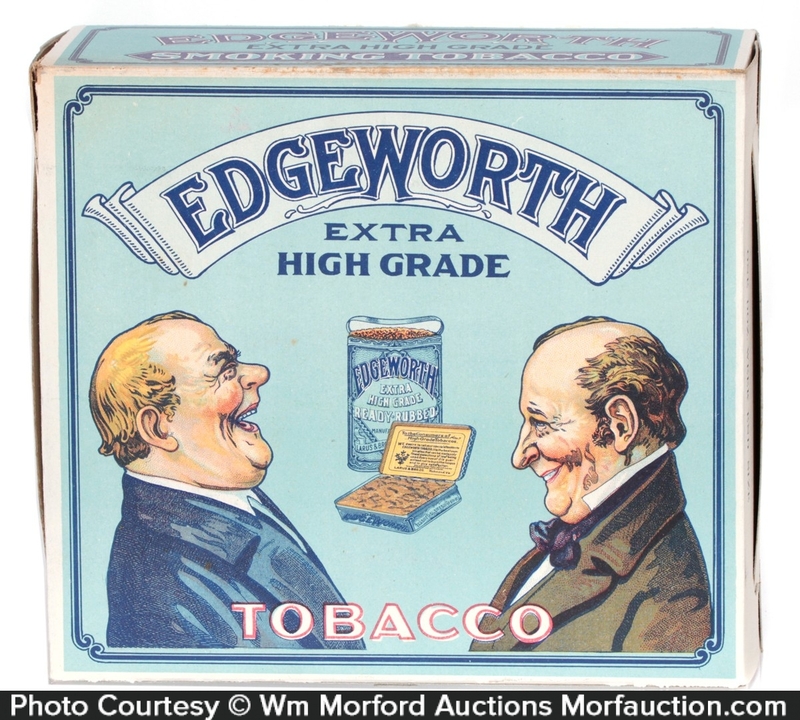 as shown; folds into a 5-7/8 x 9.75 x 3.5 box) unusual, colorful and highly graphic early cardboard store display box for Edgeworth brand tobacco (same images both sides). 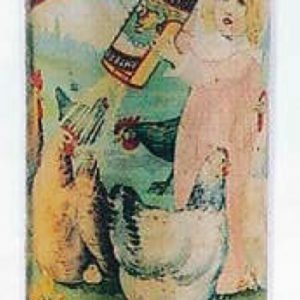 SKU: 85-7. 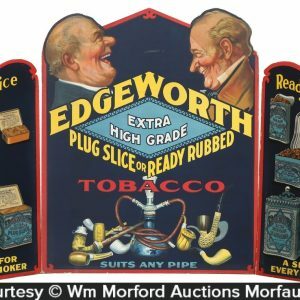 Categories: Antique Tobacco, Store Displays. 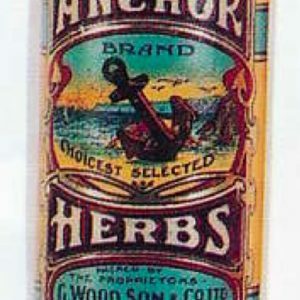 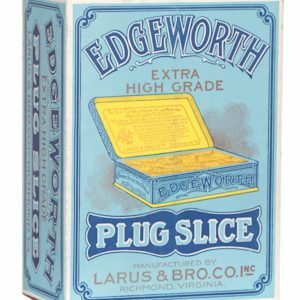 Company/Brand: Edgeworth Tobacco, Larus & Brothers Company. 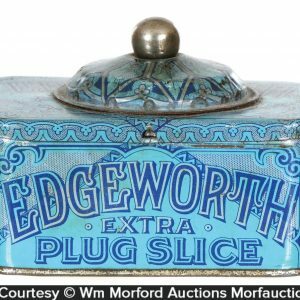 Edgeworth Tobacco Display Box: as shown; folds into a 5-7/8 x 9.75 x 3.5 box) unusual, colorful and highly graphic early cardboard store display box for Edgeworth brand tobacco (same images both sides). 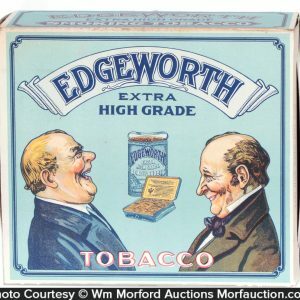 Never used box is crisp, bright and basically like new (a strong C. 8.5++).